Cannabis Marketing is nothing new. Our team has been enjoying Canada’s best cannabis for decades and know the product inside and out. We have seen many trends over the last few decades and have the experience and culture to help define your company as a brand of quality. We can help you build a brand that matters to cannabis consumers! Click here to get our new 2018 cannabis dispensary marketing guide. Filled with hundreds of time-tested marketing and branding ideas that are simple to execute and get results. Our goal is to help you obtain more traffic and sales for your cannabis retail operation, whether it be brick and mortar or an online marketplace. It is a must-read for any industry owner. We consulted some of the best dispensary owners and have combined all the tips into one helpful guide. Get the cannabis dispensary marketing guide here. 1. Have a sharp social media game and use exciting original content with a real customer in mind. Most importantly, give back! Pay it forward! Get the 2018 Cannabis Dispensary Marketing guide here! Always be friendly and have friendly staff! It is finally out. Get your copy today. The new 2018 Cannabis Dispensary Marketing Guide has hundreds of great ideas to help you set your retail operation apart. Let us know where to email it and we will send it right out! 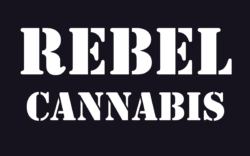 Contact Rebel Cannabis Marketing today! We are always happy to have a one on one consultation to discuss your marijuana marketing goals. We will help you design a winning strategy. No two situations are the same and with our experience, will develop a plan to hit your goals tailored just for your companies goals. We play to win and our clients have reaped the rewards! How can SEO benefit recreational marijuana dispensaries? Traffic to any store results in higher sales. SEO offers new customers searching the web and likely to buy in the near future. Being proactive and targeting this group is highly rewarding and can lead to sales growth. Many clients see doubling of sales as Google offers plenty of new customers if ranked well. If a customer is going to look for a dispensary in your area, you want to make sure your dispensary not only appears but first on the page. Each position you rank lower on a Google results page reduces the number of customers to your store. Better results equal increased sales. How to promote a medical marijuana dispensary? New to cannabis retail? Looking to make the greatest cannabis brand in the world? Have franchises in your future? Not sure what cannabis franchises are available in North America to assist your business? We have the lists to make your search easier. Check out our guide here! Just released. Get it today! How to make money in the recreational Marijuana industry? There is going to be no easy way to make money in the recreational cannabis market. Companies will have to work hard to make the customers happy and not slack off after they gain that trust. Strong customer retention skills and employees with this ability will set some retailers apart from the competition. Which cannabis company has the best branding? Our favourite branding by a Cannabis company is 7 Acres. The branding spread out between Supreme, 7 acres and Fire is great for a company with one product. To further this the company employees and executives are always approachable on social media and producing high-quality content to round out the online presence. We love 7 Acres and think they will go far. Maybe even Africa. How to advertise a marijuana business online? Originality and inclusion of cannabis culture is the only way to a true enthusiasts heart. Our campaigns are fresh and on point. In Canada, carefully is our best advice to keep your company clear from issues with Health Canada. Compliance, compliance, compliance! This industry is new and to get your message out will take brains and originality. We can help. Thinking differently is what we do. How can SEO benefit medical marijuana growers and retailers? With the majority of traditional cannabis marketing routes banned, search engine marketing offers steady organic traffic that can pay huge returns. Not all companies are the same and we are happy to discuss your options with you. Contact Rebel Cannabis today for a free consultation of your company’s needs. Contact us today! We are always happy to answer any questions for no fee. We are not the cheapest SEO agency in the market but we are the best and produce returns you can track. There is no set plan we offer and all companies need a different mix of promotions to achieve an online goal. Get your custom plan today! It is always free to chat!